Boxing Perspective: Can McCloskey Derail The Khan Express? 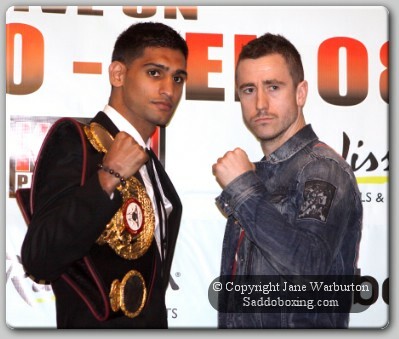 Home / Boxing Articles / Boxing Perspective: Can McCloskey Derail The Khan Express? On Saturday 16th April, WBA light welterweight champion Amir Khan, 24-1, defends his title against undefeated Paul McCloskey, 22-0. There have been complications in the run up to this fight, regarding which broadcaster will be showing the contest. It is all a bit complicated at present so forgetting the problems, I will just analyze the fight and not where it is being shown. Khan had a few options after his last outing against Marcos Maidana, who we all know is a big puncher with a huge heart. Khan boxed wonderfully, stuck to the gameplan that had been set and defeated the Argentine over twelve rounds. The fight was very exciting and Khan showed us new levels to go along with his blistering speed and athleticism. It was not as though Khan had the choice in showing us these attributes, which make him into one of the finest fighters out there. It was Maidana’s relentless pressure late in the fight. Round ten, in particular, was torrid for Khan. He took some serious shots in that frame, from a big puncher, and stayed on his feet. He was wobbled a bit, but I defy any light welterweight out there to take a shot like that when they are exhausted in the tenth round of a fight and not wobble. That was Khan’s biggest proverbial thorn; you can’t put muscles on a chin, the old adage goes and his biggest critics would repeat it again and again. And you can’t put muscles on a chin, I agree. However, you can find a fighting weight more suitable for your young, still growing, up and coming fighter, so that he doesn’t have to drain himself so much, thus leaving him susceptible to wobbling or knockouts. Khan was only ever knocked down when he campaigned at lightweight. Better still, Khan was wobbled and he held on, dragged it out and when his head had cleared, still weary, he fired back in combination that kept Maidana at bay. This was grit, this was determination, this was a steel hardy resolve we had not seen from Khan. 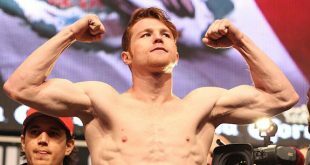 It was great to see, for these are the qualities of a fighter that guarantees excitement when you tune in or turn up, and it made for a terrific fight. Since then there have been some problems with Khan’s camp. Alex Ariza has left or been fired I am unsure as to why he is not there, but he isn’t. Ariza was trainer Freddie Roach’s right hand man. He was the guy who helped enable Manny Pacquiao to maintain his power and speed as he moved up the weight divisions. He apparently did the same thing with Khan since he has moved up, and from what I saw was always the guy who came over with Khan when Roach was busy with Pac-man. In effect, an integral part of Team Khan, and I wonder whether that will affect him going into this fight. McCloskey has had a relatively normal rise to where he is now, in that he has a solid amateur background, he is a three time Irish champion and five times senior Ulster champion at light welterweight. He also won Silver for Ireland in the EU Amateur championships at Welterweight. He turned pro and fought the usual lot of opponents. McCloskey’s eighteenth fight was for the vacant British title against Colin Lynes who was carrying a solid record himself coming in 31-4. The thing Lynes falls short with is a decent pop in his punch, and McCloskey is noted for being tough and possessing a good chin. Lynes did not come out for the ninth round. McCloskey defended that title three months later against Dean Harrison, 14-1. Harrison was down in the first and stopped in the fourth. McCloskey followed that up by going for the vacant European title against Daniel Rasilla 15-2. McCloskey again stopped his man, this time in the ninth. The next defence of the title he had just won would prove to be interesting though and perhaps the first real test of McCloskey. Giuseppe Lauri 50-6, had been around the division a few years, something of a ‘maybe’ man. 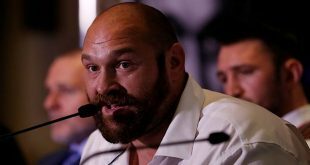 On his night he could give good fighters fits, although most of the time he was walked over, but he always made the fight awkward, not a massive puncher but he could take you out, he was a funny one. He fought Ricky Hatton, Junior Witter, Leva Kirakosyan, and Ted Bami twice. If you look at the results, Hatton stopped him in five, Witter in two, Kirakosyan in three while Bami got points decisions on both, so generally if you are tasty you will beat Lauri. McCloskey beat him, but he was cut over the right eye, eventually stopping him in eleven. To be fair to Lauri, and his team, complaints came in that the shot that knocked him out was unfair. The ref had just pulled them apart for some discrepancy and Lauri stuck his hand out whilst McCloskey took advantage and threw a wild right hook in, landing right on the money. If you ask me the knockdown was legitimate; protect yourself at all times and Lauri had his eyes on McCloskey so no excuses, close call though. The thing that troubled me about that fight is that McCloskey was being hit, more than was necessary. McCloskey is an awkward southpaw, who fights with his hands down, relies on his reflexes and throws counter punches from unorthodox angles. Lauri was nothing special and he was able to find McCloskey with relative ease. There is no way McCloskey can rely on his reflexes against Khan. Khan fires in five or six punch combinations, at ridiculous speeds. 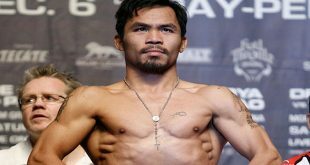 Southpaws will not be a problem as Khan sparring consists of several rounds with the pound for pound champ Manny Pacquiao, also a southpaw. McCloskey has a good chin and is very tough. 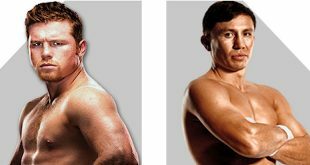 Is he tougher than Andreas Kotelnik or Maidana though, as they have been the only fighters to finish against Khan since February, 2008? On paper, Khan has been operating at another level entirely, and is held in very high regard on a world level. McCloskey says he has the answer for Khan but Khan has beaten faster fighters than McCloskey, tougher fighters than McCloskey and generally better fighters than McCloskey. McCloskey will bring great Irish support with him, and will believe in himself that he will dethrone Khan, he will be brave and will try, but ultimately Khan is a level above and stops McCloskey. I would be surprised if it went past six-seven rounds.